Product prices and availability are accurate as of 2019-04-12 07:27:12 UTC and are subject to change. Any price and availability information displayed on http://www.amazon.com/ at the time of purchase will apply to the purchase of this product. 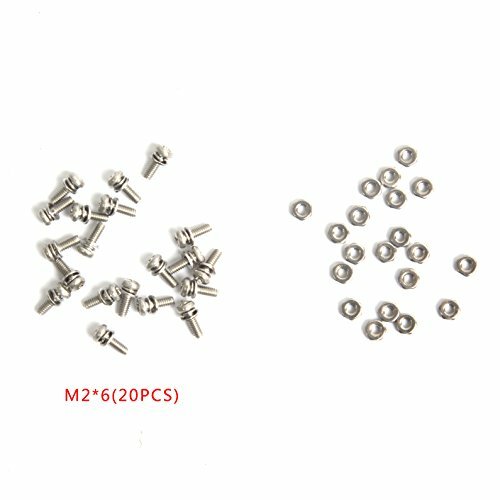 M2 x 6mm screw, 20 pieces. M2.5 hex nut, 20 pieces. 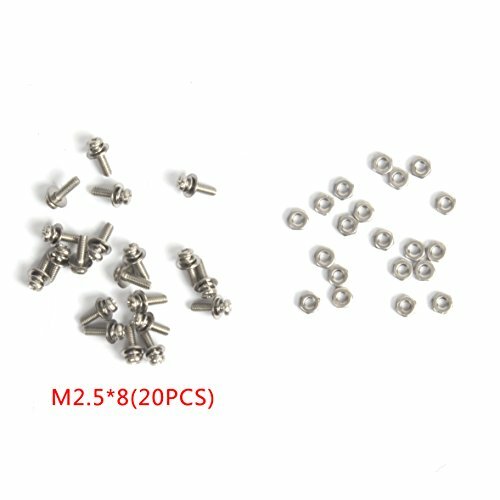 M2.5 x 8mm screw, 20 pieces. M3 hex nut, 24 pieces. 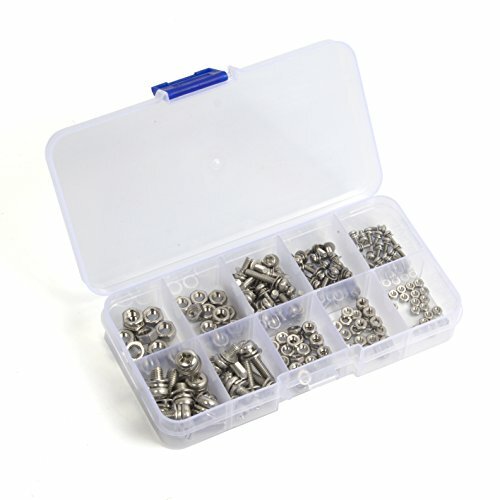 M3 x 8mm screw, 14pieces. 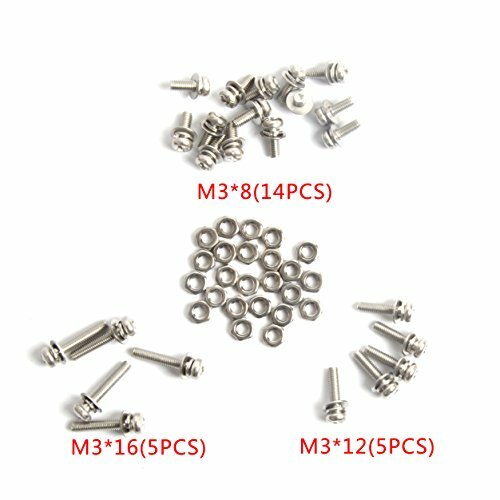 M3 x 12mm screw, 5 pieces. M3 x 16mm screw, 5 pieces. M4 hex nut, 10 pieces. M4 x 8mm screw, 5 pieces. 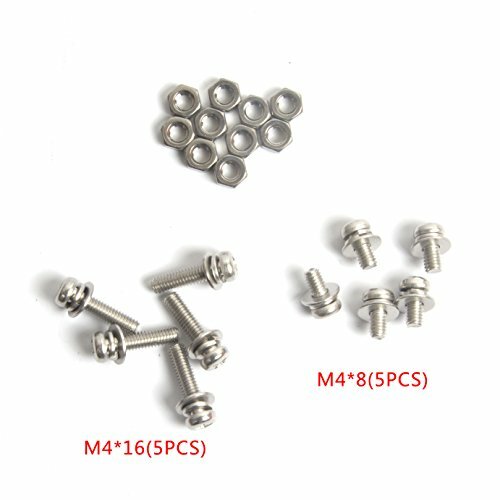 M4 x 16mm screw, 5 pieces. M5 x , hex nut, 10 pieces. 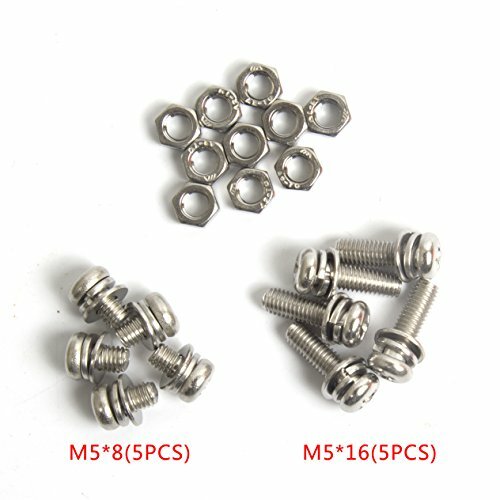 M5 x 8mm screw, 5 pieces. M5 x 16mm screw, 5 pieces. Material: Stainless Steel Head Connection: Phillips Finish: Ni-Plated and Radiant Plated. Total 168 pieces All packed in a plastic container for easy organization and storage.